Attention all ice cream connoisseurs! Are you ready for some strange yet delectable flavours? The Republican Post’s Syahirah Mazlan reviews 3 quirky flavours, from mild to the extreme for you to try this coming school holiday. On your first bite, don’t be surprised when that citrusy flavour hits you fast. While it might get you puckering in the beginning, the rustic scent of the herbs will balance out the acidity in your mouth for a refreshing and tarte aftertaste. 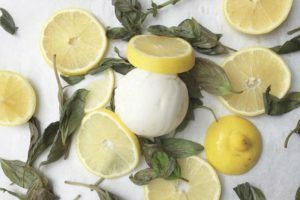 We recommend you get the Lemon Basil Ice cream if you’re looking for a desert that isn’t too creamy and won’t leave you feeling too guilty. A blend of creamy white chocolate and bits of Japanese seaweed will leave your tongue confused and sizzling, quite literally. I’ll admit, it’s a flavour that many aren’t brave enough to try. Especially if your spice tolerance is on the low side but it’s worth a try. 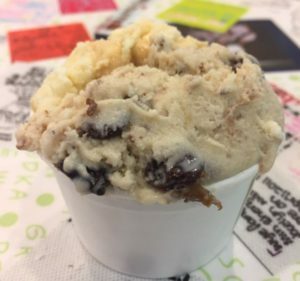 Umami is the word used to describe a savoury pleasant taste and this ice cream flavour definitely falls in that category. Spice lovers, this is where it’s at! 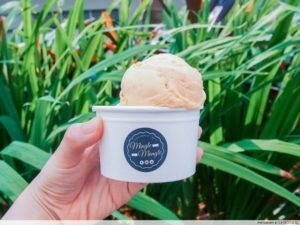 If you’re feeling a little bit braver than usual, head over to Mingle & Mangle and try out their Chilli Crab and Parmesan Cheese ice cream. The modern and minimalistic ambience of the café itself doesn’t disappoint but the taste you ask? Envision this, a spicy chilli crab meal, sauce and everything, creamed with thick milk and served… Cold. Pretty good stuff as long as you keep an opened mind! But let’s just say that it’s not for the faint hearted.